Midwestern Gothic 8 Releases Today! Now that the new year is here, Midwestern Gothic 8 (Winter 2013) is out and ready for purchase. 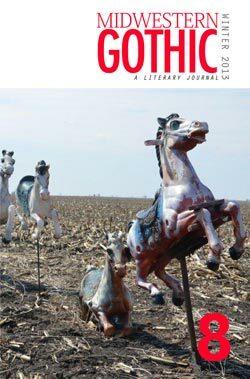 The issue features my short story “The Mercy Killing of Harry Kleinhardt” alongside work by many other talented writers, including Michelle Webster-Hein, Joan Colby, and Eric Neuenfeldt. Read more about my story here. Midwestern Gothic 8 can be had in print format for $12 (here) or in PDF format for $2.99 (here).